The search for the Treasure of Thundera intensifies as the ThunderCats and their enemies are locked in a relentless race to locate the lost pieces of the treasure. While the Lunataks intend to travel to New Thundera and grab the precious items, Mumm-Ra employs the more indirect approach of eliminating the feline competitors before embarking on his own treasure hunt. As Lion-O, Panthro, and Snarf head to the Caverns of Cold on New Thundera, the ever snooping Mumm-Ra is tracking their every move from his New Thundera abode. 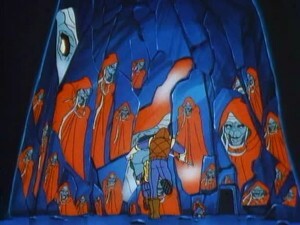 Never short of ideas to eradicate the ThunderCats, Mumm-Ra begins work on his latest evil scheme. Sprinkling some Arctic Salt and adding a dash of ThunderCatnip to the effervescent waters of his octagonal cauldron, the bandaged wizard brews up a batch of Freezon Crystals. 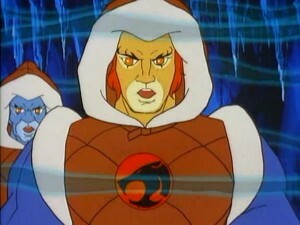 His loyal pet Ma-Mutt then hauls the crystals to the Caverns of Cold for the ThunderCats to find. Inside SkyTomb on Third Earth, we are presented with a strange sight of the Lunataks exercising diligently on what appear to various gym equipments. It turns out that they are not trying to get into shape but merely struggling to generate enough power to fire up SkyTomb’s main engine. Seeing as their efforts aren’t enough to power even Luna’s blow dryer, the Lunataks capture Cheetara and use her speed to provide some pedal power. When Tygra and the ThunderKittens go to her rescue, they too are captured and strapped to the workout machines. 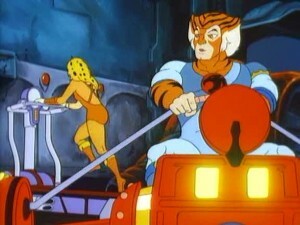 However, the Cats escape by overloading SkyTomb’s generators with their elbow grease. 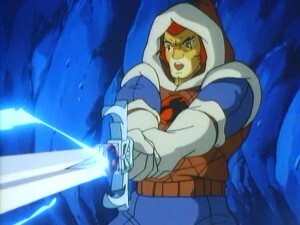 Back on New Thundera, Lion-O and Panthro are drawn deeper into the Caverns of Cold by the intoxicating ThunderCatnip fumes emanating from the Freezon Crystals and are eventually frozen solid by them. Mumm-Ra then materializes to bask in the glory of his plan’s apparent success but his gloating doesn’t last long as Snarf’s homemade tail mitten thaws his tail and he hands the Sword of Omens to Lion-O who uses it to defrost his two companions. Mumm-Ra tries to confuse the ThunderCats by using the reflective icy walls of the cavern to create multiple images of himself, a tactic he probably learned from the Bruce Lee film “Enter the Dragon”. 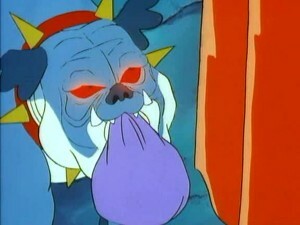 Lion-O however succeeds in using the sword to turn Mumm-Ra and Ma-Mutt into popsicles before heading back home. Writer Becky Hartman makes a bold choice to weave two concurrently running stories into her script. This approach helps to better utilize a larger cast of characters and also keeps the viewers engaged at all times. 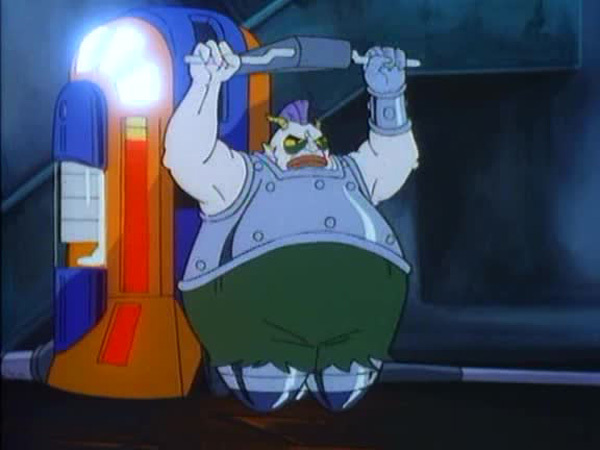 While the Lunataks use of the ThunderCats’ physical strength to power their fortress is an original and interesting concept, the second plot revolving around Lion-O is overly banal and undermines the first sub-plot. 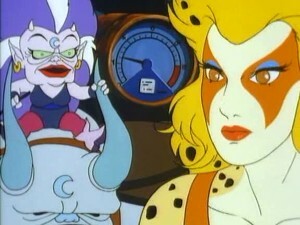 Not only is it cliché-ridden but full of inconsistencies like the Sword of Omens’ failure to warn Lion-O of Cheetara’s capture. Also the sword is unable to thaw out Lion-O when he is frozen with it still in his hands but it succeeds in doing so when Snarf re-places it back in his hands. Even stranger is the ThunderCats’ non-responsiveness to Lion-O’s summons and even after he, Panthro and Snarf return to Third Earth, none of the other Cats enquire about it. 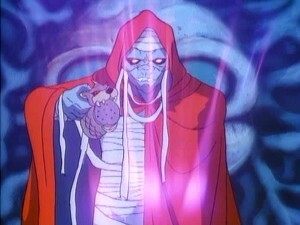 Like a number of season two episodes, Mumm-Ra’s priorities appear to have changed as well. While the first season saw him striving to obtain the Eye of Thundera, in later episodes like this one, he discards the Sword whenever he gets his hands on it, often giving it to Ma-Mutt to use as a chew toy. 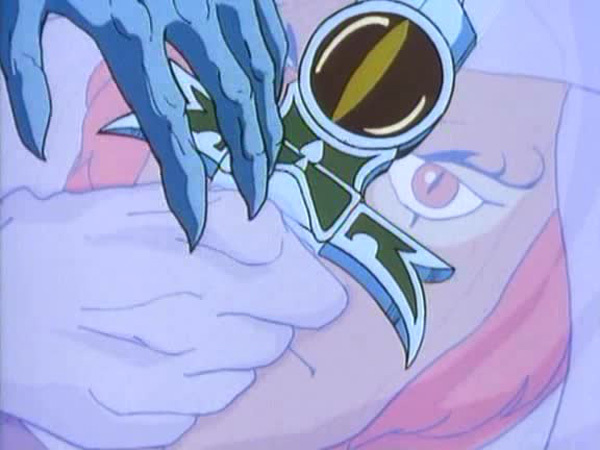 Just as Mumm-Ra has lost interest in the sword, the lack of originality in the second sub-plot will quickly cause the viewers to lose interest in this episode. 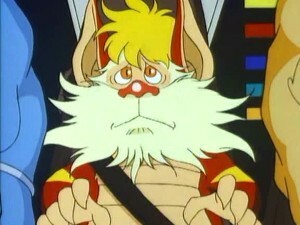 Despite being a cat and a ThunderCat, Snarf is apparently immune to ThunderCatnip. 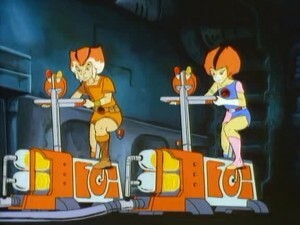 The various Lunatak power generating devices resemble exercise bicycles, a treadmill, and a rowing machine. 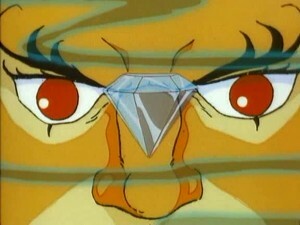 Even though Alluro is shown hypnotizing the captured ThunderCats using his mind control powers, a few scenes later they are inexplicably shown to be out of their stupor. 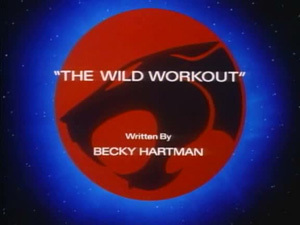 None of the new ThunderCats make an appearance in this episode. Snarf reveals that he has an aunt named Esmerelda who happens to be a master knitter!